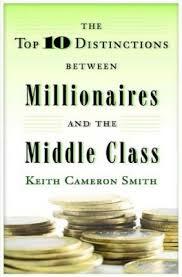 “The 10 Distinctions Between Millionaires and Middle-Class” is the name of a small but very powerful book, by Keith Cameron Smith. If you know the difference, then you can make sure to think like a Millionaire! I always loved listening to this and knowing where to point my mind… This stuff is SO true! They subconsciously ask themselves, “How am I going to survive today”. They can barely take care of themselves, so trying to help someone else is usually out of the question. They live in more of a selfish space of “I” and “Me”. What they don’t understand is that: what you seek, you will find , and they think scarcity. They say to themselves, “How do I survive this week”, just one step higher but still a “me, myself, and I” space. Survival. They look to be comfortable, and when you’re “comfortable with being comfortable”, you will stay there, settling for what life gives you, but you don’t look or live to be extraordinary. They’re thinking is, “How am I going to pay my bills this month?”. It is still a “me me me”, (“MY” bills) mentality. They set goals and have a plan to be set up in a year. More importantly, they think to solve the problems of someone ELSE, or help someone ELSE get what they want. This is why you they are business owners. People had a problem, (a flat tire), so the business owner created a solution for them and started a tire store. If people are hungry, the entrepreneur started the Taco Shop to help them get what they’re looking for. That is being proactive and valuable in the market place! They have an abundance mentality and a Core Value of FREEDOM. They know that there’s more than enough for everybody to have more than enough. No limits. They constantly looking for growth and where the biggest problems will be in 10 years. In fact, it’s the wealthy know: the more you help people get what THEY want, the more you get what you want, and the amount of money you make in this world, (and the quality of your life), is directly proportionate to how much valuable you create in this world. The TRUTH is that there is abundance. The LIE is that there is “scarcity”. Stretch your business plans 10 or even 20 years out! Also, make sure you learn how to create yourself freedom! Have you ever observed how people attract to others with like-minds? Like the gossip groups that get together, smoke cigarettes and talk about people? On the other side of that, is the successful people who talk about the future and ideas. The Middle-Class complains about things and other people. They don’t realize, whatever you complain about, you get more of! Whatever you appreciate , you get more of! The power of life and death is in the thoughts and in the tongue! Do people like change? NO. They fear it. When change is presented to them, they assume it will be negative or painful. Middle-Class like comfort, not growth, because growth means to “stretch”, and thinking and overcoming challenges, (becoming more and stretching yourself), is uncomfortable. Millionaires , when change is presented to them, positive or negative, they say “it’s gonna benefit me either way”! The are comfortable with being uncomfortable. This is a much more empowering perspective to gain. If it’s good, cool! If it’s bad, cool! Either way, it’s a “win” because you can learn from every experience, good or bad. The only constant is change. When change comes, it’s life’s way of making sure we stretch and grow, to become the person we needed to be, in order to impact more people in a positive way. And there is always an opportunity to grow from experiences. #7 – Millionaires take calculated risk. The Middle-Class is afraid to take risk. Calculated risk means you educate yourself first, and you consider the consequences of failing before you take action. a. What’s the best that can happen? b. What’s the worst that can happen? c. What’s the most likely that could happen? Insight: If the most likely thing to happen will get you closer to your goals, and if the worst thing that can happen DOES happen, and if you can live with that, then you GO FOR IT! 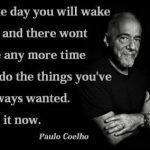 BUT , if the most likely thing to happen is not going to get you closer to your goals, and if you’re not willing to live with it, don’t do it! Here are the 3 primary FEARS in Middle-Class that we see. a. Fear of “Failure“: Millionaires see failure as good. Because when you fail, you have an opportunity to learn and grow. Middle-Class see failure as bad. b. Fear of “Rejection“: You have to have the desire to succeed, more than you have the need to be approved of by other people. If you’re successful, some people are going to reject you. Middle Class can’t deal with rejection. c. Fear of “Loss“: Millionaires play the game to WIN. Middle-Class play the money game NOT TO LOSE. You’ll never have a chance to win by playing “defense” the whole game. With Middle-Class thinking, you may not “lose”, but you most definitely won’t WIN! 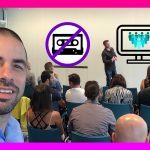 #6 – Millionaires continually learn and grow. Middle-Class think learning ended with school. The biggest challenge for most people is to let go of the ego long enough to admit that we don’t know everything, so we can actually learn and keep growing! You can (and should) always look for mentors – (in books, seminars, courses, etc.). It isn’t that millionaires have the “right genes” or anything. It’s that they are always in front of the bubble, staying up with the times, because they are always adapting, learning, and growing. We are like trees: If you’re not growing, you’re dying. This is why when you’re a kid, life is so fun! You are growing, learning, discovering new things every day. Most of the time, the Middle-Class eventually decide to stop learning. You become stagnant, and get stuck in “ruts”. The great Jim Rohn said, “PROFITS are better than wages”. It is extremely rare to become wealthy working for wages, and I personally have never seen an employee grow rich from a salary. I’m quite sure you haven’t either. You can not expect to build your own dreams if you waste all your time building the dreams of someone else. Instead, invest your spare time into yourself to learn how to create profit in today’s environment. This one does not need much explanation, but every millionaire I know is always willing to give me the shirt off their back or offer advice. They tithe. They give back and live to pay it forward. Because of their “me me me” mentality, struggling people they believe everyone else has that same mentality, and they aren’t used to other people going out of their way to help someone else! I have found that another challenge is, most people are too busy talking, so they aren’t listening when a millionaire is in the room! Have you ever noticed that the people who talk the most, seem to know the least? You can’t talk and listen at the same time, so if you’re talking, you can’t learn anything! In order to take advantage of Millionaire’s mentorship, generosity, advice, drop your ego, be humble, and LISTEN, because Millionaire’s are always happy to share how they did it! #3 – Millionaires have multiple sources of income. The middle-Class only has one, or maybe two (linear) jobs/income streams, and by having more than one linear income job, they are doubling and tripling their tax burden. You must learn to generate multiple streams of passive (and leveraged) income to become financially free. All multi-millionaires build TEAMS of people for leveraged income. They look to create systems for easier duplication. Franchising, mini-franchising, etc. Middle-Class think “if you want the job done right, you gotta do it yourself”. Sometimes trying to be too smart for their own good, and don’t trust anyone else to do their job, so they can not be replaced. If they stop working, they stop getting paid. No freedom. Millionaires understand that sales equals income, but MASSIVE income equals having TEAMS. There is no such thing as a “self-made Millionaire”. It is about Intentional congruence. Fish with not one line, but a NET! They’re connected and they FEED each other. It’s all about networking for Millionaires. #2 – Millionaires focus on increasing their net worth.Middle-Class focuses on increasing their paycheck. Forget about the bigger TV and cooler car to keep up with the Jones’. Build ASSETS instead. Millionaires get paid, they spend it, THEN they get taxed. Middle-Class are taxed out of their check before they even get it. Middle-Class asks, “Why do I struggle every month?”. Then, go out and get it, without any of your old stories and excuses! Now go out there and not just think like a Millionaire, but go do like a Millionaire! And get this little book! And if you liked this post, share it! Your friends will thank you for it!